Kinosaki Onsen’s night. Eat your fill at your ryokan and then go out to visit some of the bathhouses with your geta echoing at your feet as you walk down the streets. What to do next? Oh yeah, let’s grab a quick nightcap. Sure, we live in a convenient time where you can run to the nearest convenience store and buy a can of beer or other alcoholic beverage, but wait. Here, you don’t want to do something that you can do just about anywhere else in the world, do you? No. Why? Because Kinosaki Onsen has “Snacks”. With that said, if you think “Gee, I could use a drink.” Then head on over to a “Snack”. “Snack” is in the same “drinking restaurant establishment” category as pubs, bars, night clubs and is a business style particular to Japan, I think. You can always find a “snack” in the hot spring towns of Japan, Kinosaki Onsen not being an exception to this. I have come to think that one of Japan’s hot springs culture is to “go to a hot spring town, change into a yukata and go snacking”. These places called “Snacks” are very open places. You will always be welcomed if you are by yourself, go as a couple or in a group, no matter who you are with you are welcome. Sure, it can look deceiving but just go and have a look. First of all, there is usually a woman in the “snack” called “mama”. The name “mama” is commonly used by the shopkeeper and she is the face of the shop. Mama and the other female staff serve you from behind the counter. Then, the shops usually have karaoke, and anyone is welcome to sing. (When you get up to sing the other customers will listen, clap along and cheer for you at the end.) At just about any snack there will be at least one “jyoren-san” or regular customer. The demographics of a snack have been mostly male, but the number of women customers has recently increased. 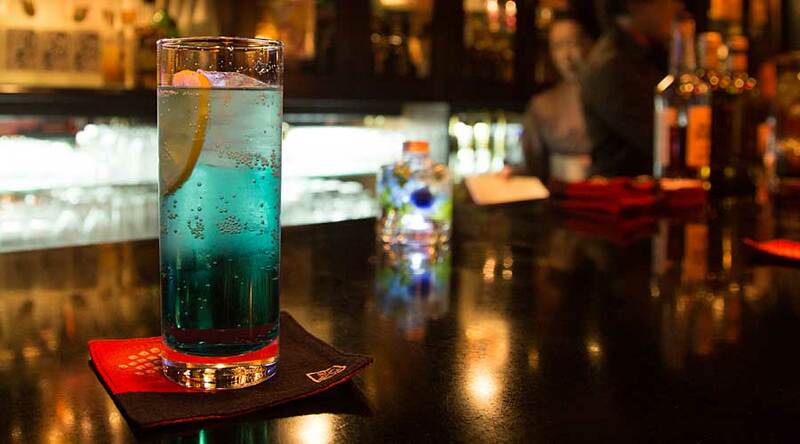 Simply put, I guess, it wouldn’t be wrong to think of it as a place where you can enjoy a chat with “mama” and the lady staff, some karaoke, and talk with the regulars while enjoying a drink in one hand. Also, with many snacks it’s hard to see what they’re like from the outside, making it hard for first timers to enter. This is in consideration for the customers, to create a more relaxing atmosphere to enjoy their drink, it doesn’t mean they are trying to turn away first-time customers. Then, many do not have any visible prices or menus. Now this may have you thinking “Are they trying to rip me off?”. Rest assured that here in Kinosaki Onsen there are no bad shops like that, or at least none that I have heard of. Which Snack is for You? Currently, there are about 15 or 16 snacks scattered throughout the town of Kinosaki Onsen. Some would say that this a lot considering the size of the town, but locals say that this number is actually considerably less now compared to what they were years ago. The average age of a snack Mama is late 60s. The current oldest Mama is 76! Of course they are standing at the counter everyday but they are, how do you say, extremely energetic! Mamas are people who tend to plan to hold shop for 40 to 50 years here. They know ALL about Kinosaki Onsen. If you wanna know about the history of the town these are the best people to ask. In addition everyone is beautiful, good-natured, entertaining talkers and attentive listeners. It may be that one of the attractions of the snacks is that we can usually talk about absurd things. You will find many regulars and local people, which might be because they have a little bit of the hard stuff in them but here they tend to be friendlier than usual. It is an everyday scene to see regulars talking about Kinosaki Onsen’s this and that with yukata wearing tourists. All the shops are different. There are ones that you can order beers one by one, ones that have a time system where you can drink all kinds of drinks for 3,400 yen for an hour. Snacks that specialize in cocktails or ones that give you a light snack with your drink. Anyways, there is a broad variety. When it comes to choosing a snack, we recommend asking the ryokan that you are staying at for their recommendation. The owner usually has at least one favorite shop they frequent. Then, when you go to their recommended snack, be sure to tell the Mama, “So and so from such and such ryokan suggested this shop to me.” She will then say “Oh my goodness! What a pleasure!” and welcome you with a smile. From there go in, take a seat and enjoy the atmosphere and glitzy night. On your way out you may find yourself saying “I’ll be back again!” Oh, but be careful not to have too much fun and drink till sunrise. Because that would be a waste of the comfy futon waiting for you in your room! By the way my favorite is “Ayame”, about 150 steps from Tajimaya Ryokan. At Ayame the beautiful Mama dressed in a sophisticated kimono has run this business for 40 some years. There is also a menu with clearly priced drinks (cocktails starting from 800 yen), and karaoke for 200 yen a song. By the way, another happy point is there is no “charge” (arbitrary charge, hourly fee, sitting fee. etc). The clear pricing system, pay only for what you drink and sing, is perfect for first-timers and people who don’t drink much but want a taste of the snack atmosphere. Please come and try Kinosaki Onsen’s night culture!